Antonio Urzi Simona Sibilla from Milan, Italy, claims to have spotted a huge UFO in the sky. Without wasting any time, Sibilla caught the entire extraterrestrial action in his camera. 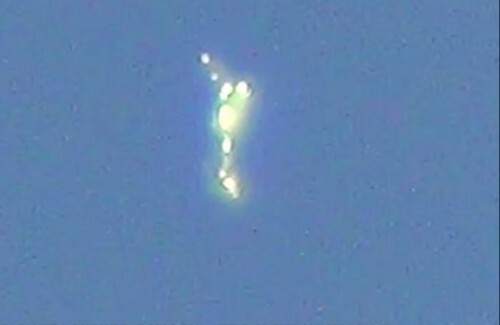 The video, uploaded on YouTube, shows mysterious lights emitting from a supposedly super structured UFO. The visitors to the video were amazed to see the strange lights, while others suspected it to be some sort of technical tampering to create the impression of an unidentified flying object. One viewer of the video commented, “Amazing!! this is most beautiful UFO for me”. “Hopefully it’s like Star Trek and their mission is to observe,” other users wrote.